On the eve of the handing over function of our projects Casa Gardenza & Begonia, we are proud that we have maintained our record of BEING ON-TIME. 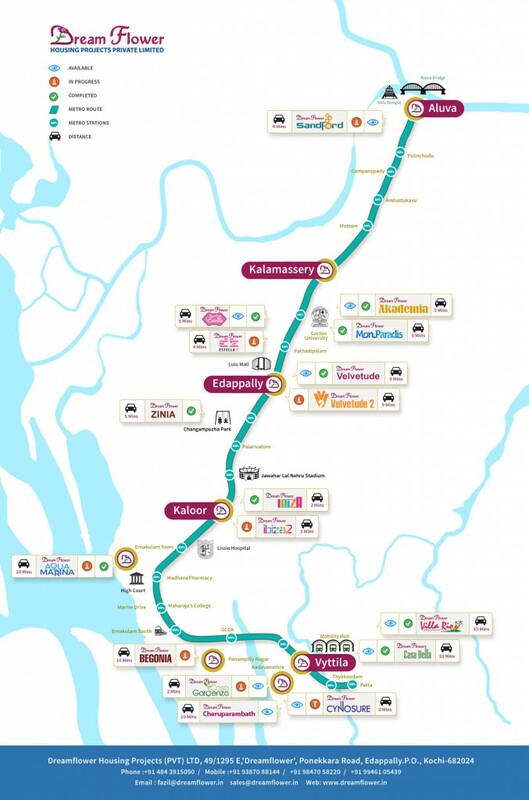 On this occasion here is a preview of our projects in the Kochi Metro Map. We are successful in providing our customers with best in class lifestyle living and this info-graphic shows how well we planned it for you. We are KOCHI METRO FRIENDLY. By the completion of the second phase of Kochi metro project, we will have almost all our projects near to a metro station. We will continue to serve you better with better quality living. Once again, we welcome you all to Olive Downtown, Cochin, tomorrow at 6 PM, to have a great time together.